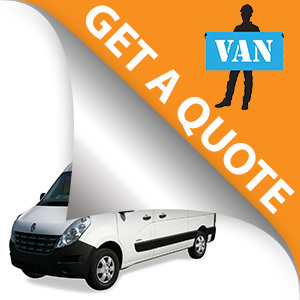 Commercial van insurance is a policy that specifically covers you to drive a commercial vehicle in connection with your business or profession and also for your own private use under the social domestic and pleasure aspect of all our motor insurance policies. While van insurance in Ireland is a legal requirement, it is also a must to get you back on the road and back to work following an accident. Insuremyvan.ie is Ireland’s leading van insurance broker. Our dedicated agents specialise solely in commercial vehicle insurance and use their expertise to help get you the best van insurance quote . We shop the market of up to 21 different insurance products to get you the best deal on your van insurance without reducing your level of cover. We pride ourselves in being the largest van insurance broker in the country which means we have the most competitive rates and can pass those savings onto you. Whether you are a van driver, a private individual, a sole trader or a business owner; we have specialist relationships with leading insurers to get you great commercial insurance rates with excellent policy benefits! *All of our commercial motor policies cover you for third party property damage or personal injury to tow a trailer. You can also increase the cover to third party fire and theft or comprehensive for an additional premium. Please speak to one of our agents about trailer cover should you require more information. We also cover a wide range of occupations! Of course we cover all tradesmen, plumbers, electricians, builders, plasterers, painters, welders, carpenters, but we also cover farmers, cleaners, council workers, property maintenance, civil servants, office workers and everything in between. If you’re looking for cheap Van Insurance without having to sacrifice the levels of cover you receive, get your quote now to see how much you can save. You can submit your details online or call our Van Insurance centre at (01) 660 6900. And you can have high quality but low cost insurance in just a matter of minutes.